Davis is a walkable, safe community and one of the most bicycle-friendly cities in the U.S., with miles of bike paths within the city limits and extending into the surrounding countryside. You are invited to sample our restaurants, browse our shops and art galleries. And for the essential Davis experience, rent a bike! Sacramento, the capital of California, is reached from Davis by regional bus transport or by car in 20 minutes via Highway 80. One of the most historic cities in California, Sacramento boasts the following highlights: Old Town Sacramento , with attractions such as the California State Railroad Museum, California State Military Museum, and the Sacramento History Museum; the California State Capital , which serves as both a museum and the state’s working seat of government; Sutter’s Fort State Historic Park, plus an impressive array of landmarks, parks, and points of interest. San Francisco is considered one of the most beautiful cities in the world and is renowned for many things, including international cuisine, theaters and museums, and the natural beauty of its location. 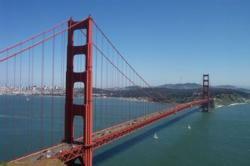 Gateway to the Golden Gate Bridge, “The City” is about a 90 minute drive from Davis. Beyond the city, in the surrounding greater Bay Area, there’s more to explore, including Silicon Valley, Marin’s Headlands, and Berkeley’s free spirit. Napa Valley is the birthplace and heart of America’s fine wineries and is located about 75 miles from Davis. Napa Valley entices people for its near perfect climate, spas, cuisine, and golf among other things. 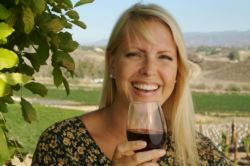 There are many other famous wine areas in California, including those in Sonoma, Amador and San Luis Obispo counties. The Gold Country was the destination of millions during of the Gold Rush of 1849. It was the largest migration in human history, and it all started an hour by car from Davis when John Marshall discovered gold at Sutter's Mill. Today you can visit the Marshall Gold Discovery State Historic Park for museums, gold panning, a recreation of the original mill and many other activities. You can also visit Gold Bug Mine to tour an actual gold mine in nearby Placerville. Outdoor activities in this region include fishing, hiking, rafting and kayaking. Lake Tahoe is a large freshwater lake in the Sierra Nevada mountains of California, and a two hour drive from Davis. From impressive lake views, boating and fishing, to skiing, hiking and casinos, Lake Tahoe draws visitors from around the world to enjoy its scenic beauty and activities. Mountain and lake scenery are attractions throughout the year. Hiking and mountain biking trails around the lake invite you to experience and explore the beauty of Lake Tahoe. 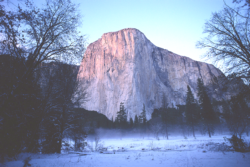 Yosemite National Park, located about 180 miles southeast of Davis, receives over 3 million annual visitors who flock to the park for its immense waterfalls, steep cliffs, ancient forests, and spectacular scenery. The park was one of the first Federally-protected reserves and was set aside in 1864 through an act by President Abraham Lincoln. Today, most of the park is protected through Federal "wilderness" designation and the park was declared a World Heritage Site in 1984.